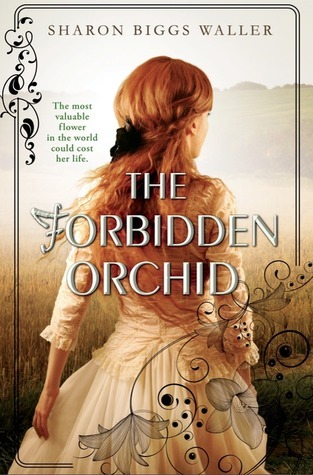 I am thrilled to be a stop on the book tour for The Forbidden Orchid by Sharon Biggs Waller, hosted by Rockstar Book Tours! I have a review for your reading pleasure, but be sure to check out the tour schedule below, or click the banner above, for more! "I think you mean aspersions." Deacon Wainwright stood up. "It's rude to correct someone, particularly for a woman to correct a man, or has no one ever told you so?" I stood up, too. "Fine. You may go on saying the wrong things and looking ridiculous for it." The bay was filled with graceful fishing boats, each one's bow painted with a black-and-white eye. Alex told me the Chinese believed the painted eye helped the boats see their way through the water. Foochow, ahead of us, was beautiful, with a long bridge stretching out into the water. There were two pagodas towering over the walls of the city, one black and one white, each level stacked on top of the next like wedding cake. The striking hills beyond tumbled off into the distance to mysterious places unknown. I felt an eager tug, yearning to explore them. I hoped my exploration of China would not begin and end in Foochow. Miss Winslow left me to rest, but I couldn't. I lay staring up at the beamed ceiling. Secrets, secrets. Seems everyone has a secret, Mr. Howell had said. I had always assumed that men went merrily about their lives, able to choose their own destinies. But when I had chosen to stow away, I had no understanding that the world cold be like that storm I'd experienced on the sea - death lying just under the surface, biding its time until it build into a wave and sank the boat. I loved my family, but I wanted to take my place in the world. My father had named me after a wildflower, and I knew now that wildflowers could not thrive inside of greenhouses. Papa's mention of Mr. Darwn reminded me of the final line in his book: from so simple a beginning, endless forms most beautiful and most wonderful have been, and are being evolved. I had to continue evolving too. 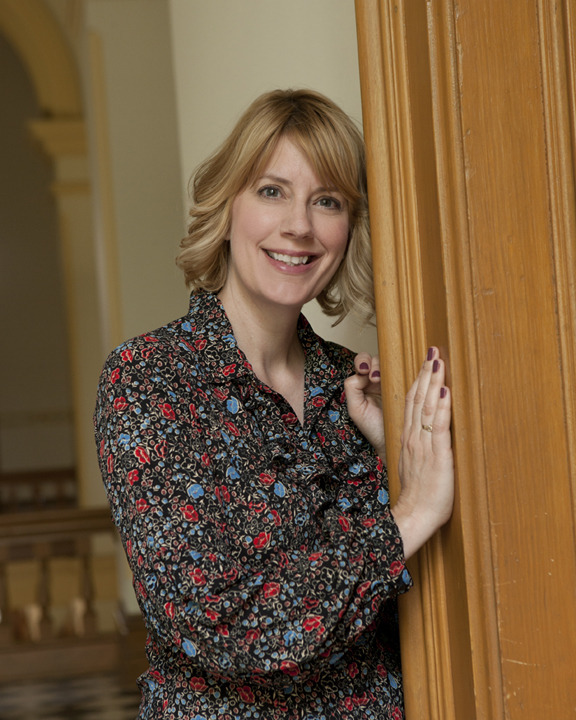 Sharon's debut young adult novel, A Mad, Wicked Folly was one of my favorite reads of 2015. Historical novels where women are fighting for their voices are a big "Give me this book now!" Much like Vicky, Elodie is longing for more. She wants to be able to travel the world with her father and find adventure, but it stuck at home caring for her mother and nine younger sisters. Her father (who comes home roughly once a year, impregnates his wife, then leaves again), is a plant hunter and searches the world for new and exotic plants and flowers. "The bottom half, this . . . pouch" - she was whispering so quietly that I had to lean in to hear her - "resembles a man's . . . parts. And the top of this flower resembles a lady's" - she waved her hand below her waistband - "bits." Sharon Biggs Waller grew up around artists and developed a passion for Edwardian history and the Pre-Raphaelites when she moved to England in 2000. She did extensive research on the British suffragettes for her novel, A MAD, WICKED FOLLY when she wasn’t working as a riding instructor at the Royal Mews in Buckingham Palace and as a freelance magazine writer. She also writes non-fiction books about horses under her maiden name, Sharon Biggs. She is a dressage rider and trainer and lives on a 10-acre sustainable farm in Northwest Indiana with her British husband, Mark. Visit her at www.sharonbiggswaller.com.